Have you always wanted to try skydiving? Give an amazing experience to a friend? 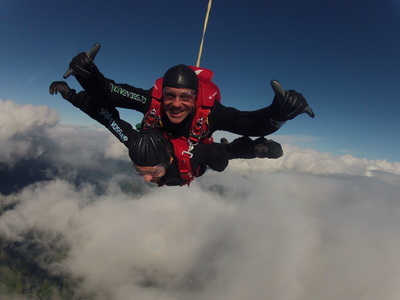 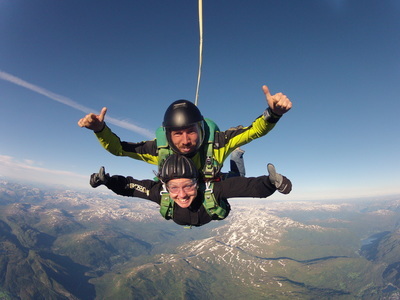 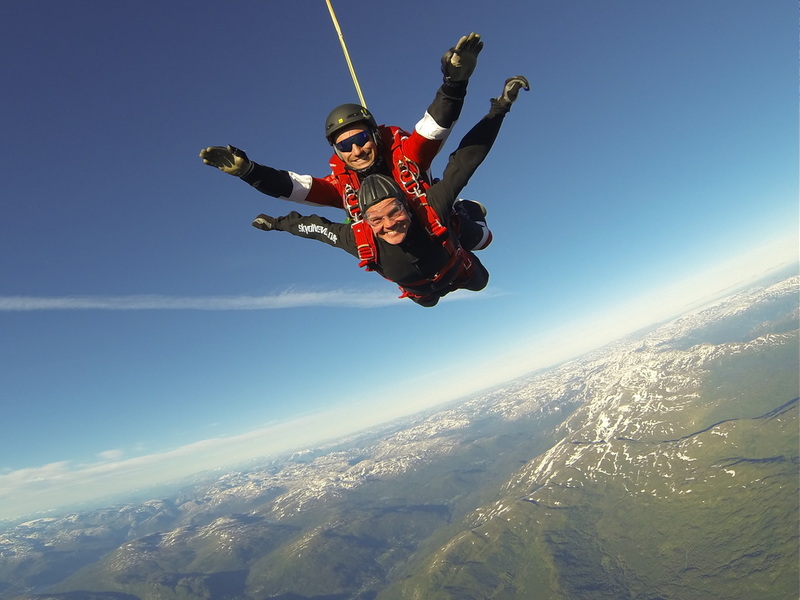 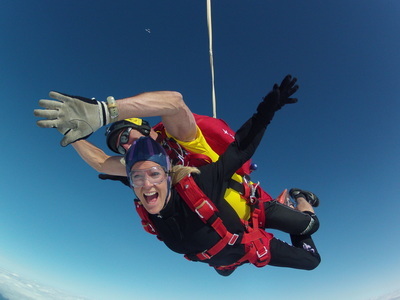 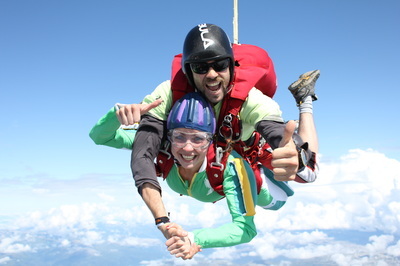 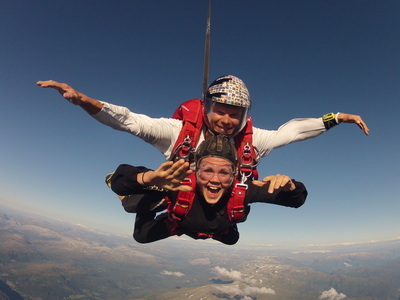 A tandem jump gives you the perfect opportunity to try skydiving. It is the ideal way to get an introduction to, and experience, the ultimate thrill of freefall securely attached to your professional tandem instructor. 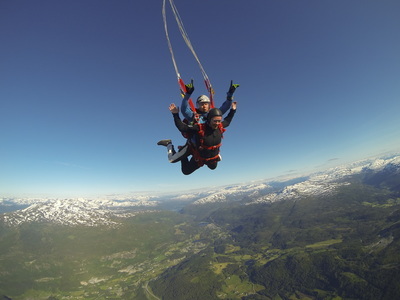 Book your tandem experience from April 26th through September 2019! 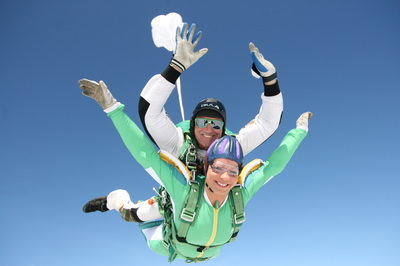 As a tandem student, you will go through the jump on the ground with your instructor. 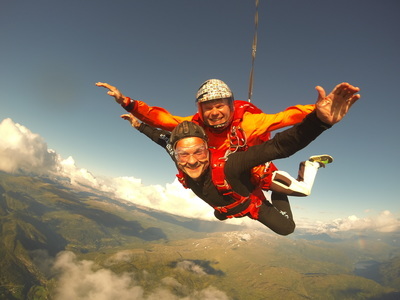 Then board the plane that will take you about 12 500 feet up in the air. 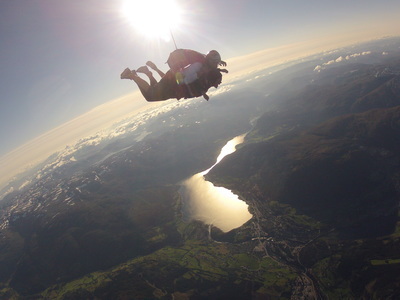 ​You exit the plane for up to 45 seconds of freefall; falling 200 km/h. 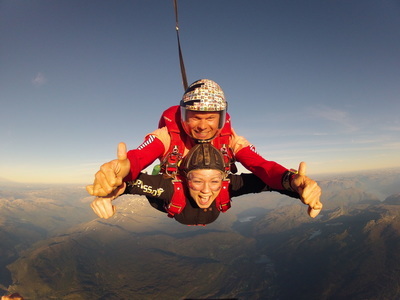 Smile, wave and scream at the camera and enjoy the ride. The canopy ride takes about 5-7 minutes – maybe you get to try to steer the canopy until your instructor brings you in to land. 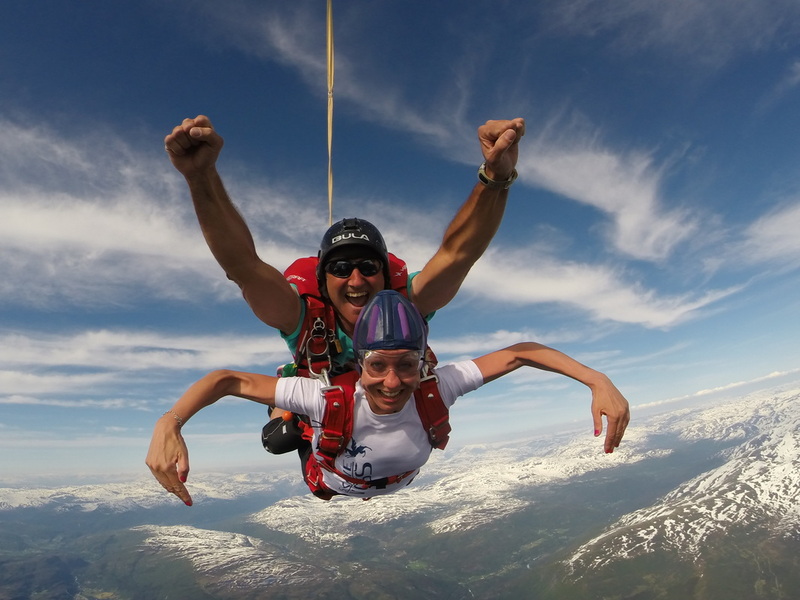 Trine goes skydiving for the first time – check it out!